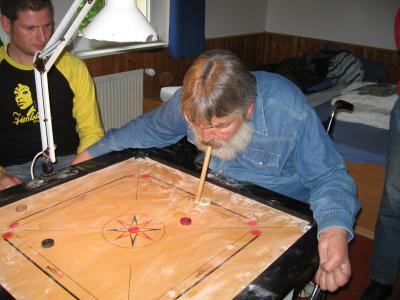 the disabled persons can enjoy the game of Carrom. 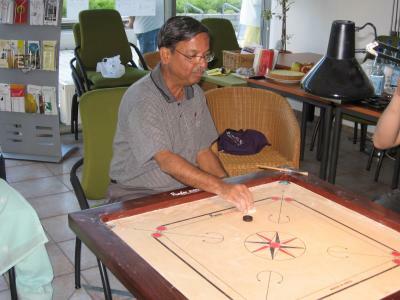 A carrom player taking part in the Open German Championship (for Singles) on 29th October 2006 at Darmstadt, Germany. He is siting on a wheelchair and is unable to use both hands. Photo by A.N. Famous Indian coach Arun Deshpande during his promotional visit to Europe. 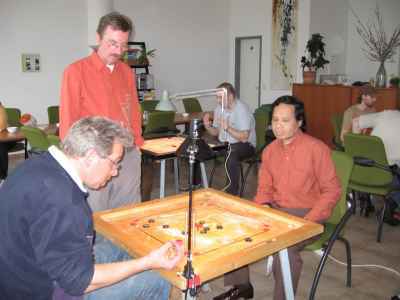 Exhibiting Carrom tricks to members of the Carrom Sports Association Berlin. 11th June 2006. Photo: A.N. 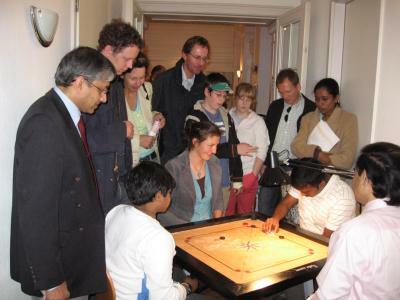 Carrom demonstration in the embassy of Sri Lanka in Berlin. Photo: A.N. Women's Team 3rd place France! Winners of the Team Event for the first time - Sri Lanka!